Our pop up stands are a cost effective solution for any event, promotional and exhibition display. Fast to set up and pack away in an easy to carry case, this is an ideal system for regular use. 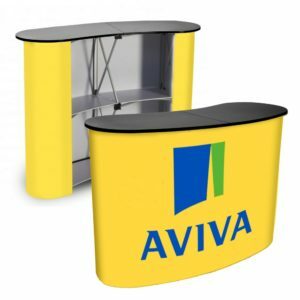 The pop up display stands are supplied as a bundle, including: graphic, frame, magnetic arms and bars, carry case with wooden beech effect counter top (also available in white, silver and black on request at an extra cost) and two halogen lights. Our premium quality, ultra-thick and laminated graphics ensure your brand or message will always be displayed at its best. If you add a graphic wrap to our wheeled portable pop up display case then you can immediately turn your case in to a promotional counter for your trade show or exhibition stand. Complete the conversion with a hinged table top which is available separately, speak to our team for more details. 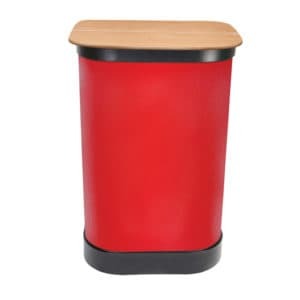 A convenient lightweight pop up counter that offers an area to welcome your guests, yet packs down for easy transportation. The counter uses a one-piece magnetic graphic wrap. The pop up counter is available in a 2×2 size: Measurement: 1290 x 985 x 465mm. Alternative counters are available. Highly functional, double-sided silver in colour literature holder with 6 x A4 pockets. 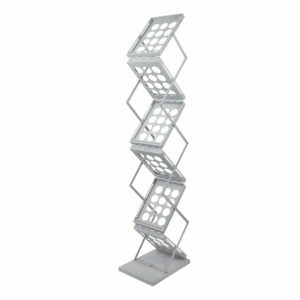 It can fold down with the literature still in place making it easy for storing and transportation. A padded carry bag is included. Alternative models and sizes are available, please speak to our team for more details.